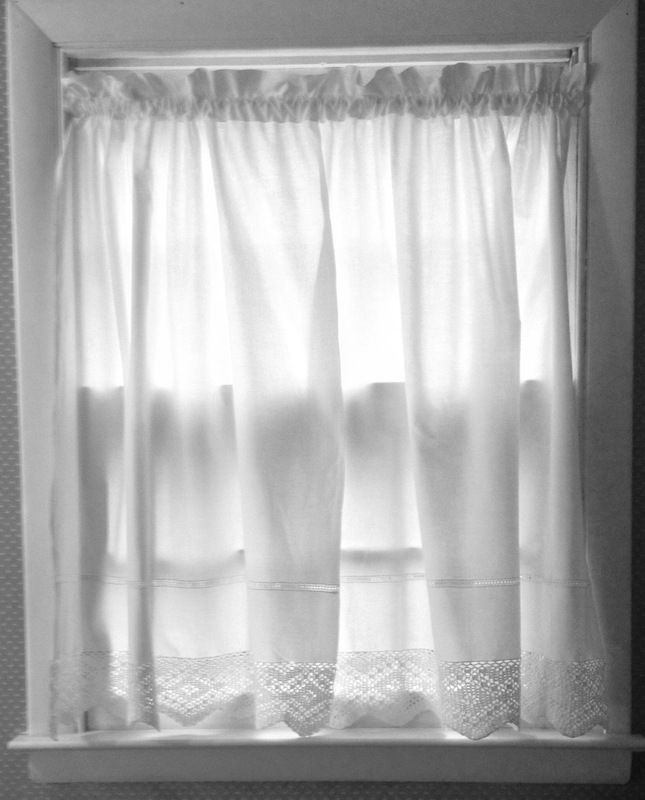 The smell of ironing and starching linens, is something that just takes me back. I have memories of both my mother and maternal grandmother from the time I was a little girl starching and ironing linens. The sound of the iron going back-and-forth over cloth (swish, swish), combined with the sweet steamy smell of ironing and starching. My mother loves to iron old linens, and I do too. And also as much as I hate to admit it, there is something to be said about the look of crisp and freshly pressed anything. And I say that fully acknowledging the fact that as a child I often thought my mother was going to starch things so much we would never be able to move! So here I am the day before Thanksgiving, and I decided I needed to starch and iron a couple of sets of café curtains and a bunch of linen napkins and guest towels. As I stood there on this grey and rainy day and ironed, my mind wandered. Ironing is such a peaceful task, and as my mind wandered, I started thinking of holiday seasons past and those who are no longer with us. Specifically my late father and brother-in-law. Both of them loved the holidays and loved to entertain. So it is really hard to NOT think of them at this time of year. As I kept on ironing, my mind wandered to Thanksgivings past. Some of my favorite when I was little with the ones we spent with the Cullen family. And then as we got older, for many years my sister and brother in law took over the task. I also took the time to contemplate many things I am thankful and grateful for. I am thankful for my family. It is amazing how different a few years makes your life, and I love my little family unit and my home and my sweet man and my stepson. I never was able to have children of my own, so the blessings of having a stepson is a very big deal to me. I am thankful and grateful to be breast cancer free for almost exactly 2 1/2 years. The official 2 1/2 year mark is December 1st. I am thankful and grateful for my friends both old and new. I have many friends that I’ve had since I was a little girl, and for that I am very grateful because I know how easy it is for people to grow apart. And in that vein, I am thankful that I have been able to learn how to let some people in my life go. Why? Because moving from one area to another, even though I only moved an hour away (if that), has been a sometimes bittersweet experience these past couple of years. It is really hard when people who were basically in your life on a daily basis seem to evaporate over a little bit of distance. It hurts, truthfully. But I really believe in that old adage of God closes a window and opens the door. And in the past few years, God has opened a lot of doors for me. I know some of you are scratching your head right now because I don’t usually get religious on anyone. I generally keep my beliefs and what not to myself. But tomorrow for most of us begins a very spiritual and often holy time of year between all these holidays which occur between Thanksgiving and New Years. So somehow I think it is only fitting to acknowledge that higher power, no matter how it is exactly you believe. As I look around, I know there are many who are far worse off than any of us this holiday season. Try to remember them. Donate to food banks whenever and wherever you can during this holiday season. If any of the churches are having clothing drives and you have things that you can donate, I would also suggest that. We are officially in the season of warm coats, and some people go without them. Above all else, appreciate the life blessings you have, and let the rest go. I know that is easier said than done in a lot of cases, but Thanksgiving also marks the beginning of a quite beautiful season. So believe in the magic. It does exist if you are open to it. 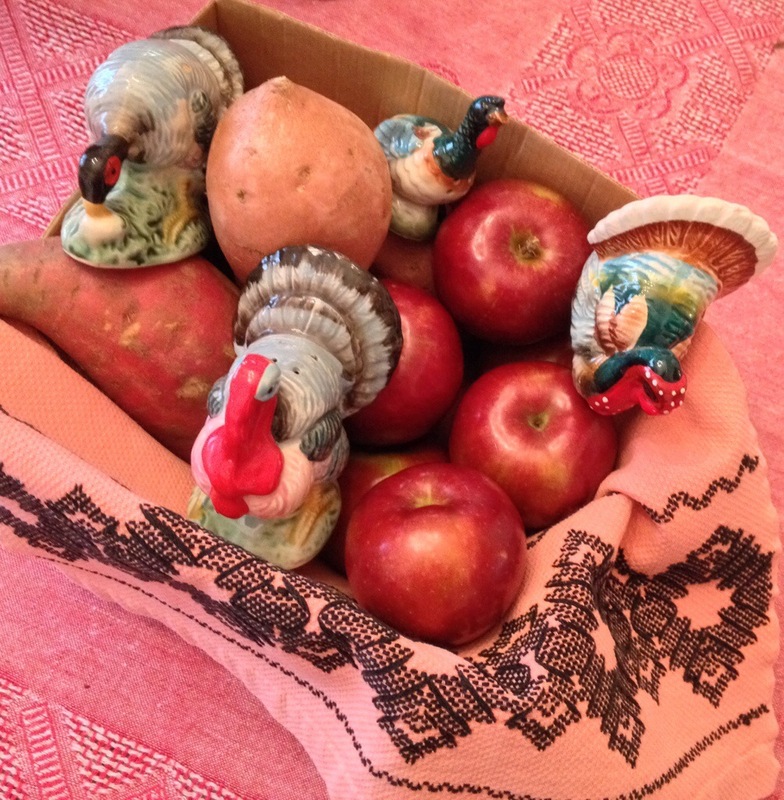 Thank you as always for your readership, and happy Thanksgiving to you and yours! Beware! If you go to the grocery store after today, be prepared to take your life in your hands! Yes people, it has arrived: the Thanksgiving food shopping frenzy. This afternoon I am giving thanks that I am pretty much finished. I went to my regular market, the giant Giant on Boot Road in West Chester. The parking lot was not so delightful. There were a lot of people not looking driving every which way. But that’s normal for that lot. At first when I got inside, the store was relatively sane and only moderately crowded. I had a random conversation in the frozen foods with a very cute older lady who had recently celebrated her 88th birthday. God bless her, I hope I look that fabulous when I’m that age. We were talking about how nobody really does homemade much of anything anymore when it comes to sauces. We were standing in front of some bad Progresso sauces that had been reduced and stuffed in a last chance bin. We had both the stopped to look to see what was in the reduced bin. Then I wandered up and down the aisles, artfully dodging the carts of other people. There were a lot of cart gliders who would wander at an aimless snail’s pace. Then they would simply stop and block the entire aisle, completely oblivious to anyone else around them. I almost had a few near ankle experiences – as in people on their cell phones going up and down the grocery store aisles who nearly ran me over. I am always amused when this happens, because inevitably they give you a dirty look like you have some nerve to actually be shopping while they are trying to have their crucially important personal cell phone conversations quite loudly in the grocery store. Some of these conversations people have on their cell phones in public are simply astounding. I use my phone in the grocery store only because I put a memo on my phone with my grocery list. I can talk to my friends and family when I get home. I had one of those totally funny crack yourself up conversations with one of the butchers while I was choosing a turkey in the meat aisle. The butchers at the store are very nice. Basically, I was looking for a smaller turkey, and this butcher kept trying to sell me the turkey that needed its own apartment on Thanksgiving. Which just struck me as very funny. Had a vision of myself needing a truss to get in and out of the oven. When I got to the produce section, is when I found the store somewhat irritating. A lot of things were not as fresh as they could be. For example is it THAT hard to take the rotten apples out of the apple bins and they were misting all the vegetables so much that they were all kind of soggy. But I was able to pick through and get some of the things that I needed that I did not already have. You know like celery hearts and onions and yams. I ended up with a red yams because they didn’t have any sweet potatoes that weren’t overpriced and individually wrapped in shrink wrap plastic to go into the microwave. So I piped up and said you have two choices: the soft ones that are available individually in the bin against the wall or the mesh bags of them stacked below. Oh boy if looks could kill. And that’s the truth. It is something that really bugs me about Giant. They do not throw away vegetables that aren’t supposed to be soft when they get soft. They do the same thing with Daikon radishes and fresh red beets. So I stood there for like 20 minutes and told this woman all the different ways that she could cook yams or sweet potatoes before mashing them and basically putting them in a casserole that would warm in the oven. It was a really pleasant conversation, and she was a super nice lady. But unfortunately for us, we had the produce aisle guy and other people annoyed that we are actually standing there having a conversation. And no, we weren’t blocking the aisles. I guess I just don’t understand why it is okay for people to have loud cell phone conversations in the middle of aisles of the grocery store, but it’s not okay for two women to stand in the produce department and discuss cooking techniques. I know all of this is just because Thanksgiving is this week and everyone is in a frenzy. But what does it hurt any of us to try to be nicer or more pleasant to one another in public spaces like this? Especially when we are all preparing for the same holiday. None of us are so busy that we shouldn’t be able to stop what we’re doing for a couple of minutes and exchange pleasantries. It doesn’t all have to be via Facebook, Twitter, text or cell phone conversation. I’m sorry but there’s something very true and real about being able to have a conversation. An actual conversation. And since it is the season of giving, something occurred to me: many of us will not use our holiday free turkey coupons at our local grocery stores. So that being said, local food banks are in need. And if you can drop off anything in time for them to deliver to needy families for holidays, please consider it. And that includes the free holiday turkeys we get from the grocery stores as a shopping reward. Check with your local churches as to where the food banks are located in case you don’t know. As Thanksgiving draws near, I am grateful for the many blessings in my life. And I am thankful that I have such an amazing readership on this blog. And as I am not sure if I will blog again between now and Thanksgiving day, I wanted to take this time now to wish all of you a very happy Thanksgiving! Today my friend Abbi came down from North Jersey and we went antiquing and junking through Chester County. We’ve known each other since we were either 14 or 15, so we always have a good time. Today we had a fun kind of Junk Gypsies kind of day. We started out at the Smithfield Barn in Downingtown (of course !) 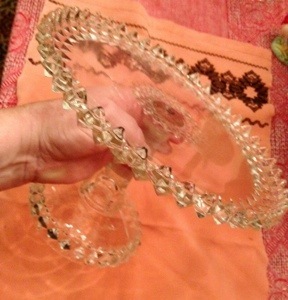 where I scored a totally amazing (and old) clear glass hobnail cake plate – I needed a taller one and pretty ones are hard to find. I use the cake plates for many foods not just cakes. Cheeses and cookies look fab on old cake plates too, and when I’m setting a holiday table I like having them in different heights. And I’m doing a buffet for family on Christmas day, so this new cake plate will round out my others perfectly. Of course I also couldn’t resist just a few more vintage Christmas ornaments. My friend Abbi got some amazing depression glass candlesticks and a couple of other cool things. Then after other stops and a beautiful drive on back roads, we went to the open farm day at Yellow Springs Farm on Yellow Springs Road in Chester Springs. It was fun catching up with Catherine and Al Renzi and buying some fabulous goat cheeses. Check their website, because they have open farm days in December as well. They are producing their own goat milk yogurt now, and I suggest especially try the cinnamon flavored. After that we made one last stop at Resellers Consignment on Route 30 in Frazer. 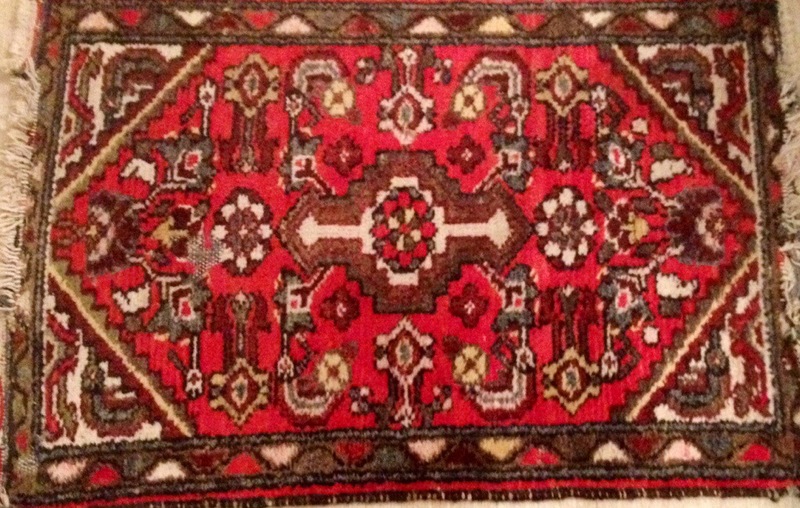 I have been looking for a small Persian or Oriental rug to put in the kitchen to accompany a larger old Turkish rug I have. This rug is not fancy, it is warm and welcoming. Is definitely shabby chic, and almost threadbare in places. But I love it just the same. You see that is just a shabby chic thing I love: old and almost threadbare Turkish, Oriental, and Persian rugs in places like kitchens and bathrooms, or scattered about instead of other kinds of interior door mats. I’m not talking priceless carpets here, I am talking about shabby chic ones with character left that aren’t so filthy you can’t clean them up. I think they make a kitchen especially feel more warm and homey. So while I looked from one end of Reseller’s to the other I was amused by some of today’s crowd. There were a few Ralph Lauren and Tory Burch younger power couples. However I am completely fine with that. She can shop at her “darling little stores” and I’ll go digging for treasure where I find it! And today I finally found my little Persian rug! It has been on the sales floor at Resellers for over a year which meant it was half off. So for $25 I have a very cool rug. And all it was a little vacuuming! To clarify, when I talk about redefining shabby chic, I don’t mean all pink cabbage roses and floral patterns on wrinkled cottony canvas. I am talking about cool vintage things that might have a comfortable lived in look. Now some people love the look of things that only scream new. I do not. I think older and vintage items truly have a comfort to them. Don’t know if I’m articulating the charm properly, but maybe that’s a better word for it: charm. I like mixing old with new. I like a lot of more vintage pieces when it comes to furniture because as much as anything else, the dimensions and quality are often better. The problem I have with a lot of the sofas and chairs manufactured today is they are just so big they are oversized for a lot of rooms. And as I learned with a family room sofa we bought at The Dump, if you can find good dimensions it doesn’t mean the quality is there. I saw all sorts of cool pieces at Resellers today, including amazing Edwardian sofa that was still in its original horse hair and not too sprung on the bottom. Even if I’m not buying, I like looking. It’s fun to always have a few new ideas in the back of your head for “someday”. There are so many possibilities out there to achieve looks literally like you see in magazines. And you can do these things on a budget. And that’s whether you were looking for a country living look or something a little more mid-century modern or even classic meets funky. And I’m not trying to put interior designers or antique dealers out of business, but face it , this is still a tough economy out there and if you can get a great deal you appreciate your home even more in my opinion. Besides, there is the whole thing about decorating your own home and achieving your own look. Sure you can pay someone to do it, but if you really want to make your home your own you have to do at least parts of it yourself. mmmm mexican food at home! Two full boneless skinless chicken breasts cut into small chunks. Cut the raw chicken into small chunks. Place in a large sauté pan that has had some olive oil in the bottom warming. Just a few tablespoons of olive oil. Dust the chicken with Goya Adobo seasoning to taste, a few dashes of garlic powder, a few dashes of oregano, and about a teaspoon and a half of smoked paprika. Add in your onion slices and about a third of a cup of Goya Tomato Softito. Add a couple of dashes of New Mexico style chili powder. (you can order that from Whole Spice in California on Amazon). Cook the onion and chicken down on a medium to low heat until you can basically shred the chicken and the onion is starting to almost dissolve it’s so soft. Turn off the heat and to that at the zest of one lime and the juice of one lime and as much fresh chopped cilantro as you want. Adjust with salt and pepper if needed. Set aside and let the flavors meld together for about 45 minutes on the stove with no heat under it. Heat up your can of refried beans over low heat in a small sauce pan with a little of olive oil in the bottom to keep the beans from sticking. To the beans add a little dash of the Goya Adobo Seasoning (I buy the real Mexican refried beans from my local Latino market), and add about 1/3 of a can of the pickled red jalapeños mentioned in the ingredients minced up and the Morena sauce it came in. Stir it up well, add a little fresh cilantro, and once the beans are heated through turn the stove off under this pot as well. Go do something else for 45 minutes total for both. Set the table, clean up your prep with the chicken, empty the dishwasher, whatever. After you have let the sauté pan and the sauce pan and the various contents set, come back to your kitchen and preheat your oven to 345°. Line a baking pan that you would use for a sheet cake or brownies with aluminum foil. The pan I use is actually a vintage aluminum rectangular pan came from the kitchen supply house. Take out six flour tortillas and one at a time first on the bottom of the tortilla layer refried bean mixture, and then put the chicken and onion mixture on top of that. Add a little shredded queso and roll your tortilla into a tube. Repeat this six times. I made six enchiladas from this recipe. When you have the tortillas now enchiladas with all their stuffing rolled up like little tubes and lined up next to each other in the foil lined pan like neat little soldiers you’re almost ready to put in the oven. Take your can of spicy Mexican tomato sauce and pour evenly over your enchiladas. Generously layer shredded Queso to taste over the sauce and enchiladas. Cover your pan tightly with aluminum foil and put in your preheated oven for 25 to 30 minutes. Everything is already cooked, so it truly just needs to heat through and melt. But you must do this with a pan that is covered with aluminum foil or the enchiladas will dry out. When you bring them out of the oven let them sit for a couple of minutes before you take the foil top off. 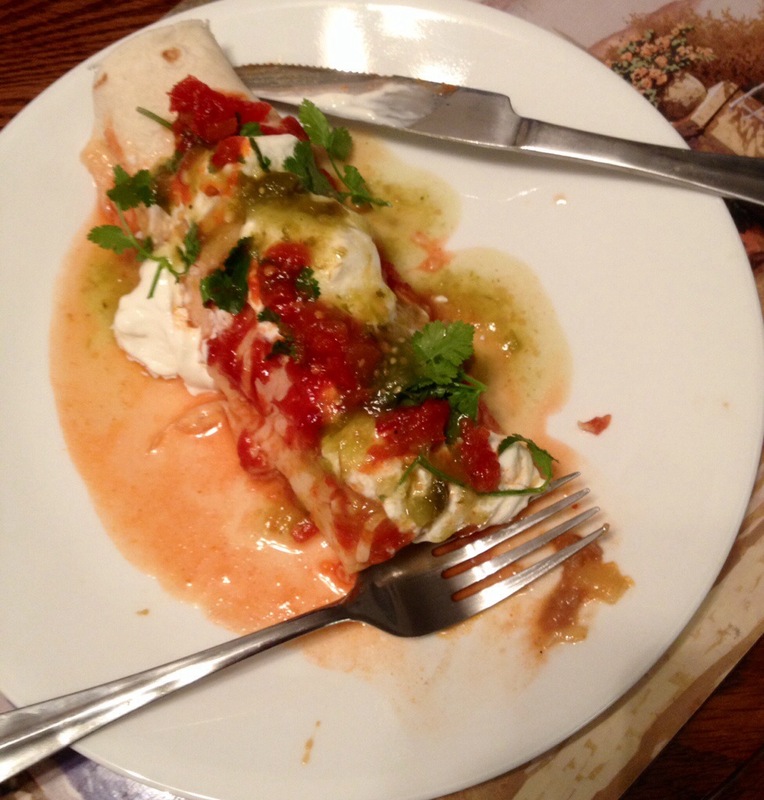 Serve the enchiladas with Mexican sour cream,chopped fresh cilantro, a salsa Verde, and a spicy red salsa. I suggest the brand I list above specifically in the ingredients. There are no leftovers when I make this. Ever. And FYI if you are in Chester County and reading this recipe, I use the little Mexican market at the bottom of where Route 352 meets Route 30 in Frazer. They have a small Taquiera attached called El Jalapeño . 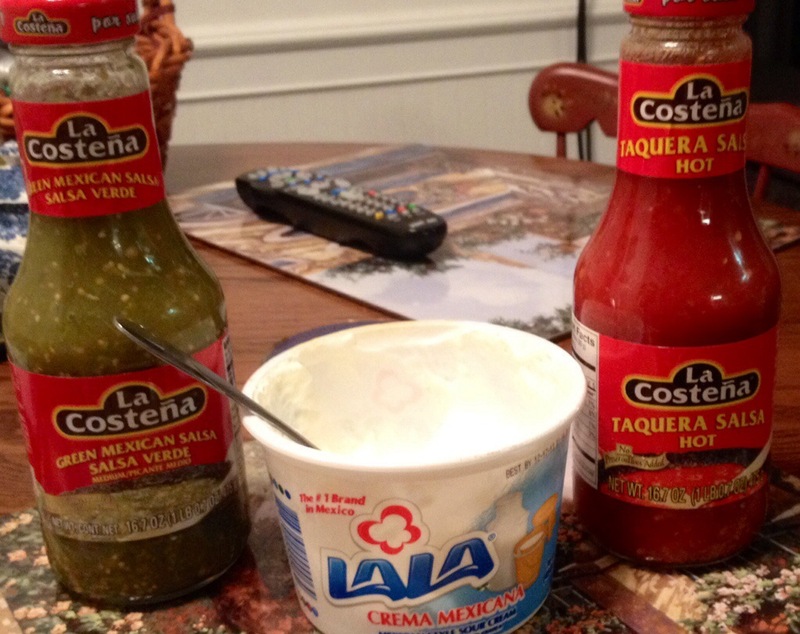 This little market has several kinds of Latin American sour cream, Quesos and so on. They basically so all the supplies the grocery store should if you want to do a Latin inspired meal but don’t. I was told I had to write down this recipe, so I have. It is something that started in my head as I scanned the shelves of this little market. I also do this with leftover pork roast instead of chicken. ho, ho, ho! vintage holiday barn sale and a blog holiday rule! Ho, ho, ho! I spent part of the afternoon previewing the Vintage Holiday Barn Sale at Smithfield Barn in Downingtown! I had to drop off some bits of my former vintage Christmases past to make room for the new vintage fun I have found. 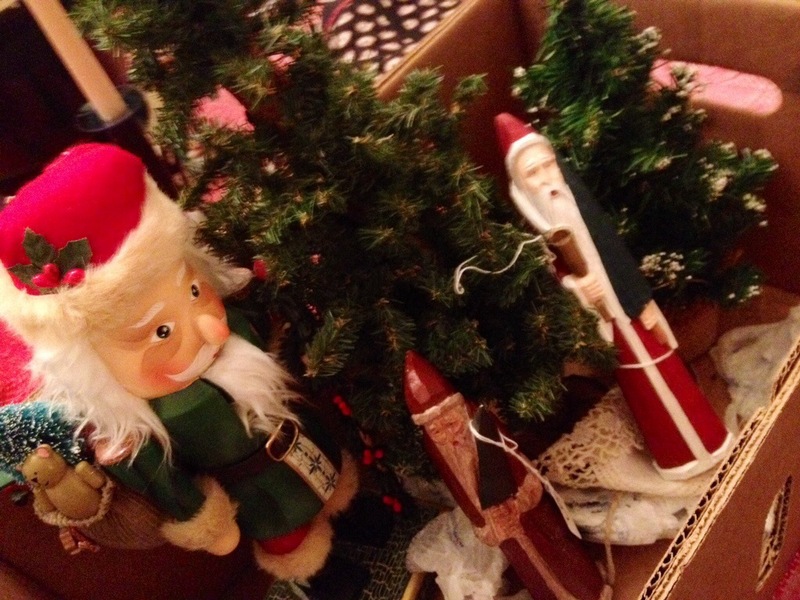 And yes, I had to pick up a small (emphasis on small) box of Christmas treasures. Kristin has decked the barn and it is loaded to the gills, including yes, more vintage ornaments, some interesting furniture and stuff needing a little elbow grease and imagination, a couple of sets of really neat china PLUS all the normal cool vintage country finds like a retro 50s or 50s dinette set with chairs in pretty fabulous condition. Hello! Just a quick note that the barn will be open this Friday Saturday and Sunday from 10-4. 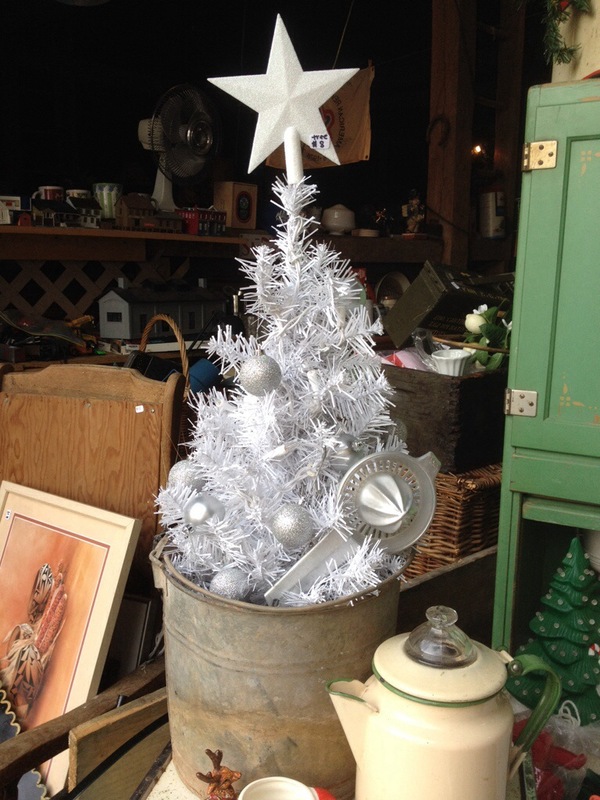 The barn is full of all kinds of treasures with a whole lot of vintage holiday items mixed in! Hope to see you! Smithfield Barn 425 Little Conestoga Rd. I am going to share a little more from me to all of you : Drive and park considerately when you go, there are neighbors. Also cash and carry unless you arrange something else. A lot of people have been a little inconsiderate of late and it’s not fair to prey on the good nature of small business owners and not follow through with intended purchases, or leaving items sitting for weeks. I have a lot of friends were small-business owners, so I’m very sensitive to how much work they put into their businesses and what they need to do to keep it going. The barn is full of fabulous ideas. So if you like Clover Market or Brooklyn Flea or Brimfield Antiques Show, this is why you go to the barn. And truthfully, in case you haven’t figured out what I’ve been trying to tell you for a while, this is where dealers shop: the Smithfield Barn. Truthfully, some weeks this place deserves to go on American Pickers! Now for the blog rule. The holiday season is nigh, and we all have no problem calling Thanksgiving Thanksgiving and wishing people Happy Thanksgiving. But after that Thursday tales of the politically correct take over. The things I wonder about include “Black Friday”. Think about it for a minute. We are so dependent upon the political correctness police in this country, that I am surprised that someone hasn’t said it’s politically incorrect to still call it “Black Friday”. I guess and what comes after Black Friday? What do you wish people as it gets closer to December 25, right? In my neighborhood we call it Christmas. I celebrate Christmas, my family celebrates Christmas. Meaning no disrespect anybody that celebrates something else, but I do not believe in the whitewashing of the holiday spirit known as Christmas wishes. So I won’t be happy holidaying anyone. I’m sorry but I wish people Merry Christmas. And I will do so even on this blog. So as Christmas gets into the air and into your hearts, I hope you’ll pay the Christmas spirit forward and wish people “Merry Christmas”. In the meantime, avoid all bah humbug moments and get a start on your shopping and decorating season and check out Smithfield Barn and their vintage holiday sale this weekend. After this weekend, the barn might not be open for a while. This is not an all weather, year round proposition, after all. I am going to make a suggestion for you nouveau pickers: bring a small pocket flashlight with you. It makes it easier to peer into dark corners. You would be surprised how much you miss if you don’t do this. See you out at the barn! Recently people have started leaving me comments on random posts about issues going on all over Chester County. Especially about both the Great Valley School District and the West Chester Area School District. All complained about not having a contact form. Sorry but this isn’t that kind of blog, which is why I don’t have a contact form like you seek. You are always welcome to leave a comment of course, but this blog is not activism based. 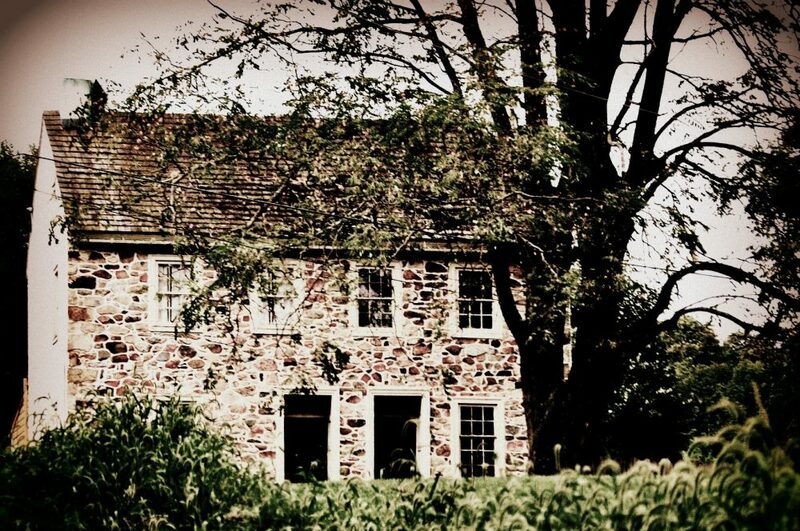 This blog is my journey through Chester County, and often just life. It is as I say, writing about whatever strikes my fancy. That is to say, the subject matter is what interests me. I am not a news outlet per se as a citizen journalist up here. I am sorry, but I did a spin on that kind of blogging for easily ten years. This blog is different. I’m different now and in a different place in my life. For those new to the blog you will see a lot of my photography and even my recipes. You will see some of my explorations into the county and seemingly endless photos of barns and farmhouses because I love them and each one is like a work of art. You may see an occasional profile of someone who has touched my life and some of my general musings as a step-mother in training to a teenager. Or a recount of the thrill of the hunt after a particularly good barn pick. But truly, no matter what a lot of politicians and wannabe politicians might think, this is not a “gotcha” site. I appreciate the passion of others and I am grateful to my many, many readers and followers, but I have to be true to myself and I can’t be the voice of every issue that needs one. I encourage those of you who have issues with these school districts in particular to step forward and be heard. Write a letter to the Daily Local or contact a TV station. Or you can also start your own blog or contact sites like PaNewz.com which is this cool site started by former NBC10 anchor Tim Lake, who left the station at the end of 2012. It’s not that I don’t sympathize about what bothers you. I do . For example, do I think it is outrageous in this kind of economy to pay for a bunch of Great Valley school board folks to go to New Orleans on some sort of junket at taxpayer expense? Heck yes, a city often nicknamed Sin City and at $2000 per person for some convention? It is astoundingly piggish for a purportedly fiscally responsible school board to consider that in my opinion. But do I know anything about this? Nope. Of course I am curious as to how many folks other area school districts send to this. But this is not something I really want to tackle. As for the every Republican is bad in the West Chester Area School District of it all, my lord people give it a REST! There is a slew of new school board members on deck after the election, right? Let’s get through the rest of the year and see what they do. I am no authority here, and have no horse in this race. WEST CHESTER — The elimination of a court position in Chester County Family Court that deals with complex divorce cases has sparked complaints and concerns from a number of attorneys in the county who say they fear the replacement system will prove less than efficient. In addition, because the special hearing master whose position will cease at the end of 2013 is Julia Malloy-Good, the Democratic candidate who came close to winning a seat on the county Common Pleas Court bench this month, some have speculated that there was more to the decision by President Judge James P. MacElree II to do away with the job than meets the eye. On Nov. 5, Malloy-Good placed third in the three-way race for two seats on the Common Pleas bench…Two days later, on Nov. 7, Malloy-Good was told by the supervising judge in county Family Court, Katherine B.L. Platt, that the position she had held for two years — special master for complex support cases — would be eliminated, effective Dec. 31, an attorney familiar with the situation said in a recent interview. The position had reportedly been included in the county’s proposed 2014 budget. To be honest, I did not vote for this women and I mocked her campaign signs because they were ones that amused me. The giant “Julia” signs to me were like “Madonna” and “Cher”. HOWEVER, I sure hope this woman isn’t the victim of some political shenanigans don’t you? I have never had needed the services of a master in family court and I know people who are on both sides of the good and bad opinion of masters. But I do feel personally that they have a role to play in our judicial system. Masters serve a purpose. Anyway, this to me is indeed a shame and struck a chord, which is why I mentioned it. People have told me that no matter what one thought of Malloy-Good as a judicial candidate that she was good at her soon-to-be former job in the courts. But this is as far as I want to delve into these things. I am sorry that my head is in a different place, but you too can have a voice where you live. It is easy. And your right. Enjoy your evenings, all. And thank you very much for reading my blog. We all learned yesterday that even in small towns we as a society are not immune to crime. Yesterday we were told that on Monday night a young man of 21 was shot inside his grandparents home in the Borough of Malvern. 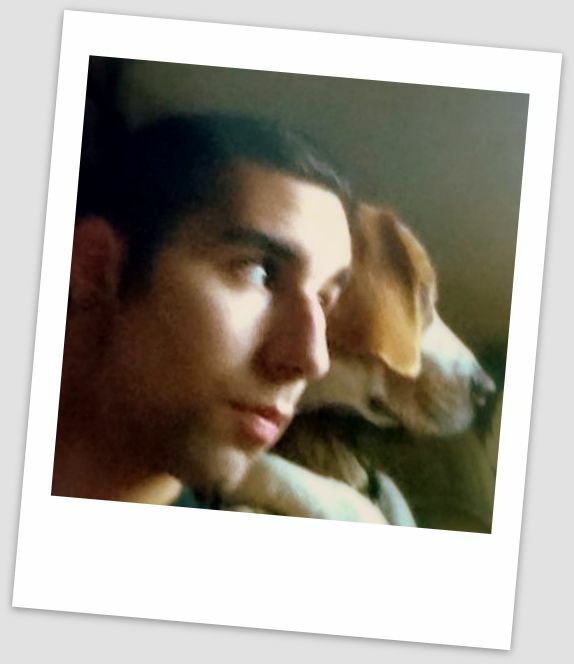 The victim, a 2011 graduate of Great Valley High School was only 21 years old. His name was Drew Ferguson. 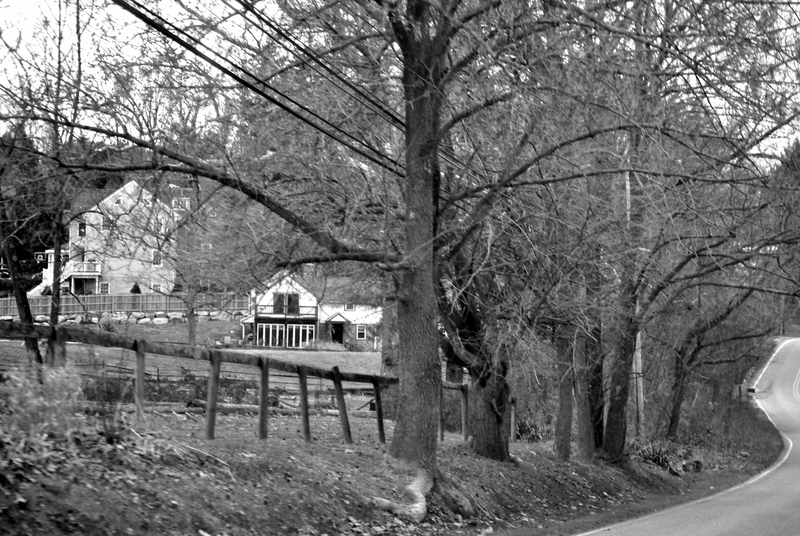 He lived with his grandparents on a cute little street in Malvern Borough off (I believe) Old Lincoln Highway on Miner Street. Someone told me the nickname for over there is “Miner Hill”. Drew, we learned last evening on the news, was as per Chester County District Attorney Tom Hogan, murdered by a friend from high school, 24 year old Merritt Dudas. Ok wow. I don’t know any of the people involved or families involved, but so tragic as all concerned are/were so young with their entire lives ahead of them. These were someone’s children, grandchildren, friends, neighbors. On a Malvern-centric Facebook page we heard one mom tell of teachers and former students at Great Valley High School meeting over at the school to grieve together and remember. He was just a boy. And his “time” should have been decades down the road. No matter what else, this Drew Ferguson was just a boy who obviously missed his dad and liked cars (and maybe drove too fast judging from photos of a wrecked red Honda?). I am getting a lump in my throat thinking about it. And right there leaving a comment in sympathy in January is the young man accused of his murder. This is truly a senseless tragedy of Shakespearian proportions. There are no words. I totally feel for both families. This tragedy has and will continue to tear up a lot of people. This shouldn’t have happened and it happened in a town where things like this don’t happen. And I am at an age where this kid Drew is the same age as some of my friends’ children. The police and District Attorney’s office did an amazing job getting this all squared away so quickly. MALVERN – The Chester County District Attorney’s office Tuesday charged an acquaintance in the death of a 21-year-old man who was found shot to death near his home in the borough Monday evening. Authorities identified 24-year-old Merritt Dudas of Collegeville as the suspect who is charged with murder, robbery, theft and abuse of a corpse. 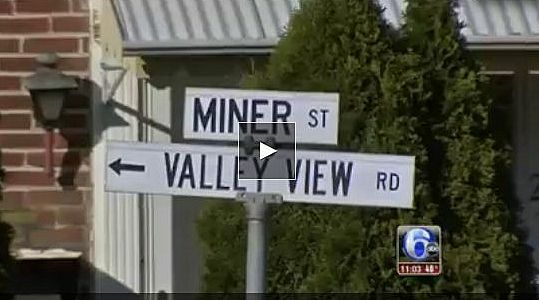 Drew Ferguson, a 2011 graduate of Great Valley High School living in the 200 block of Miner Street, was the victim, police said. According to Chester County District Attorney Tom Hogan, the investigation found the attack was not random and the two men had known each other for years. Hogan said for a period of time Dudas lived in the home next to Ferguson and then with Ferguson at the residence on Miner Street when Dudas was without a place to live. According to the criminal complaint, Dudas was arrested by police on Tuesday and confessed to the killing….“A tragic and senseless murder, but I would be remiss if I didn’t point out that in a very short period of time this was extraordinary police work,” Hogan said, indicating police did in 24 hours what should have taken about two weeks. Malvern Patch: Malvern Murder Not Random Killing, says Chesco DA/Police discovered the body of Drew Ferguson, who was found shot in his home.